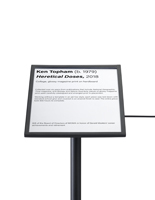 4" x 6" 6" x 8.5"
This angled gallery signage plate for stanchions replaces the cap included with black QueuePole.Slim posts to present exhibit text with simplicity and elegance. 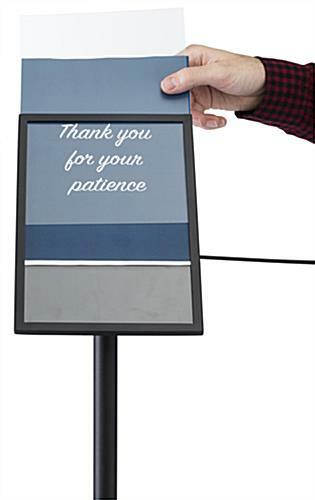 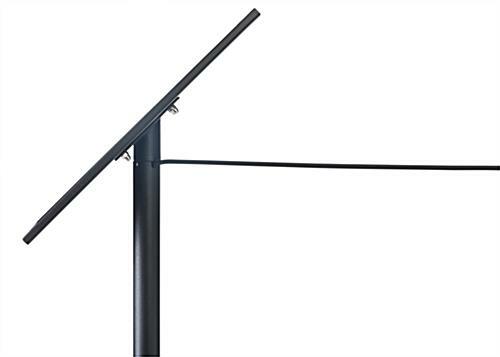 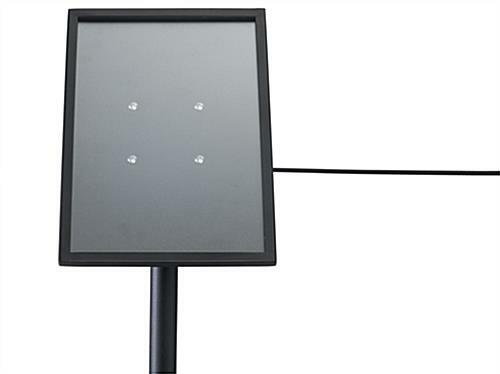 The screw-in design allows for easy installation on top of your existing 16" tall crowd control fixture. 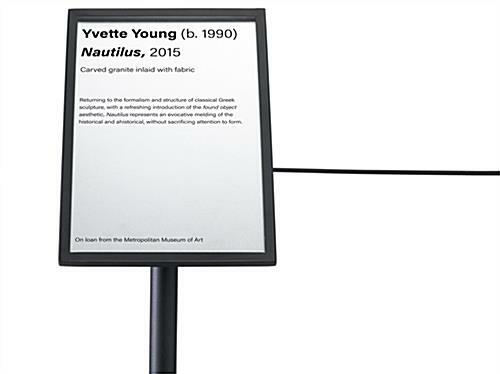 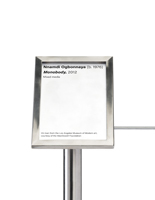 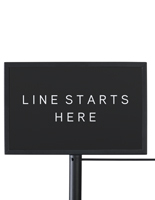 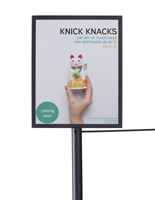 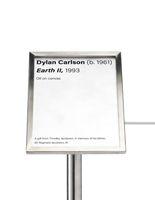 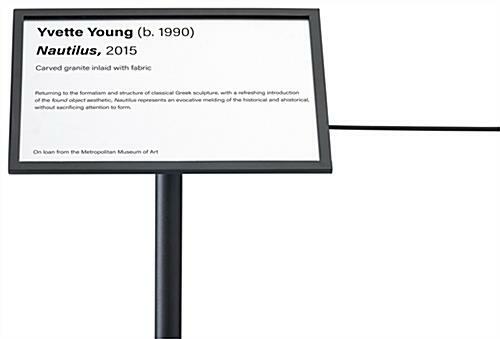 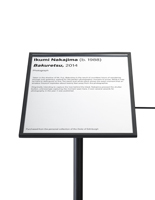 This subtle gallery signage plate for stanchions prioritizes exhibit text with a minimalist aesthetic and non-glare PVC lens that reduce distraction. 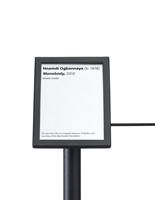 The matte black frame is set at 45 degrees for optimal viewing and can be oriented in portrait or landscape. 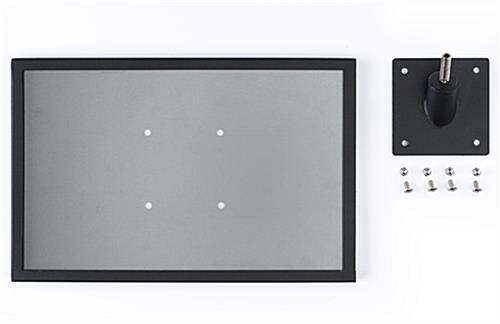 This label frame cap utilizes simplicity of design to be efficient and versatile. 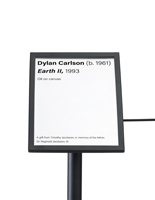 7.3" x 7.8" x 8.3"